With our 'Pretty special' appointments being so popular we have decided to share the love.. 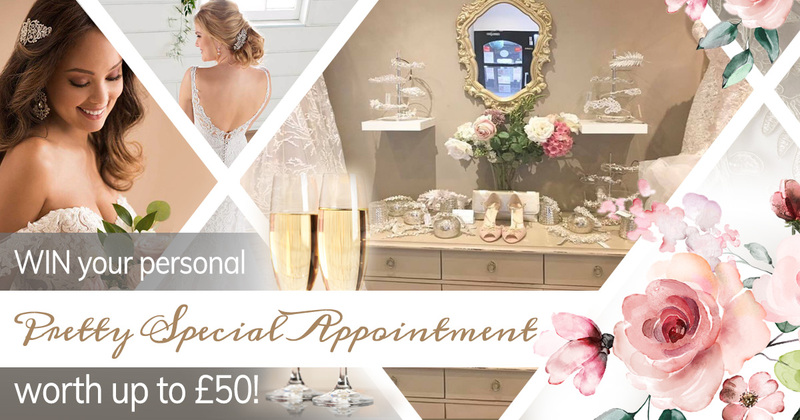 WIN your personal ‘Pretty Special Appointment’ worth up to £50!! Our ‘Pretty Special Appointment’s are becoming more and more popular. Not only do you get your own personal stylist - you also get exclusive use of the boutique, prosecco, cake & fruit for up to 6 guests. All of this for free!! We will choose 1 lucky winner on the 2nd May. All you have to do to WIN is scroll down to the bottom of the page and sign up to 'The Pretty Club'. The prize can only be used by the name of person entered. Winner must contact us by 14th May 2019 to claim their prize. The free pretty special appointment must be used by the end of September 2019 (subject to availability). We do get extremely busy so recommend booking in advance.